Some types of clogs require a plunger. A plunger is a suction cup attached to a wooden handle. It is used to create a vacuum to de-clog a drain. Plungers are typically used to eliminate clogs in the kitchen sink drain. It is also used for clogged toilets. Essentially, you will create a vacuum to remove whatever blockages that are in the way in the drain. Just place the suction cup square in the middle of the drain and start pumping away to create a vacuum. The constant pumping action will disengage the offending matter that affects the water flow within the drain. After plunging several times, you want to pull the plunger away sharply at the end to push the blockage away. Do this several times until the normal flow of the water within the drain is restored. A hand snake – also known as a plumber’s snake – is a flexible auger used to dislodge blockages in plumbing. Usually, the auger has a slender end and a hand spinner on the other end. This tool effectively removes the blockage within the drain because the auger spins as you turn the hand spinner. The spinning action grabs onto the blockage, allowing for easy removal. This tool is perfect for fixing drains clogged with hair, hardened oil, solid blockages and unwanted debris. To use the hand snake, open the drain by unscrewing the metal filter if there is any. Insert the slender end of the hand snake into the drain and start turning the hand spinner as you push the snake deeper into the pipe. Keep spinning and pushing to trap the blockage. Once you are done spinning and pushing the hand snake, pull the slender end of the snake up. The trapped blockages will be pulled away as you retrieve the hand snake. After the blockage is eliminated, test the drain by running some water and checking the water flow. 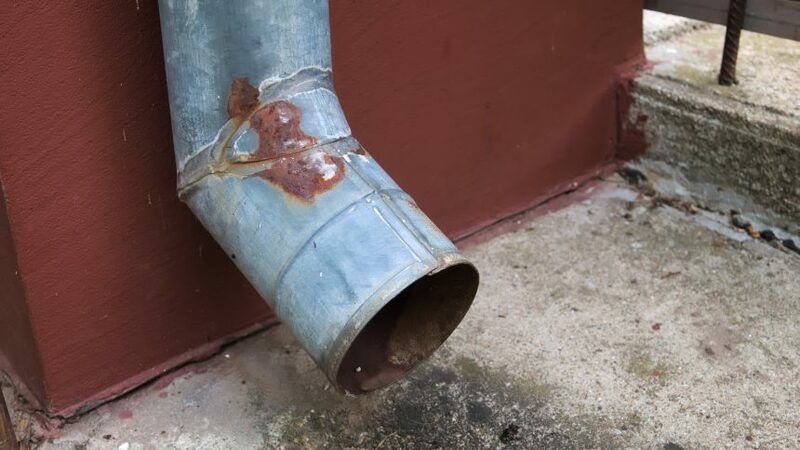 Usually, unwanted debris and scum accumulate in the P-trap portion of the drain. The P-trap is the elbow-shaped pipe under or at the back of the sink. You can remove the blockage by disassembling the P-trap using a wrench and a little elbow grease. Before disassembling the p-trap, get a bucket and place it under the sink. This way, the liquid from the drain will pour into the bucket, not the floor. Using a wrench, twist the connector to gently remove the p-trap. Once the p-trap is unscrewed, get a foot long stick and eject the solid matter or scum that clogs the drain. If the clog is caused by accumulated scum or hardened oils, you don’t have to go to great lengths to restore the water flow in the drain. You can use either vinegar or bleach to dissolve the scum in the drain. Just pour the liquid into the clogged sink, wait for 20 to 30 minutes then follow up with boiling water. Repeat several times until the drain is cleared completely.